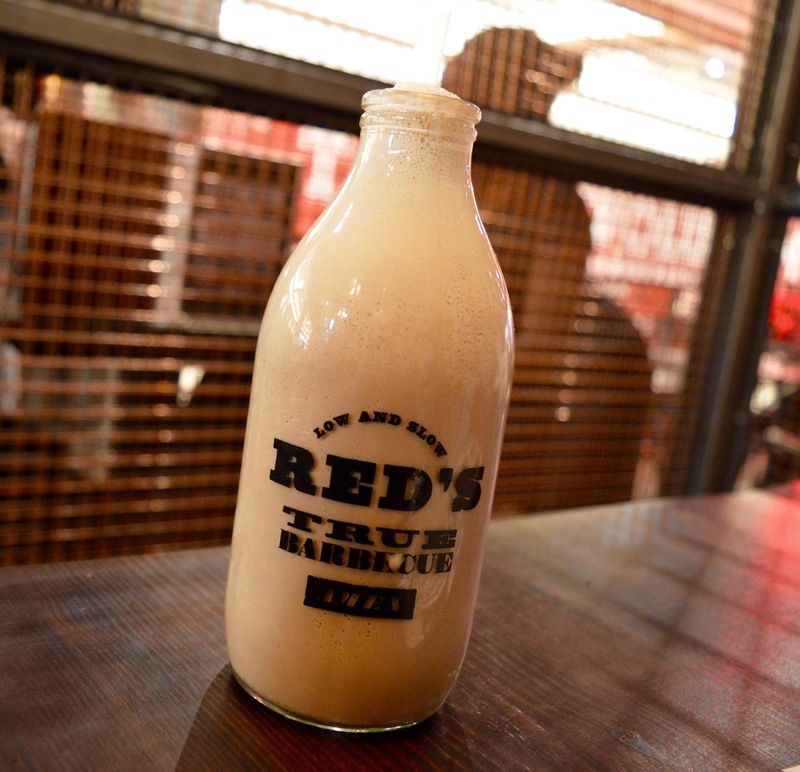 Red's True BBQ is a place that us Geordies have been waiting to open in Newcastle for what feels like forever. Although I haven't made the journey myself, my brother and a fair few of my friends used to travel the 100 miles to Leeds just to sample a taste of this legendary BBQ'd meat. They told me it was that good! 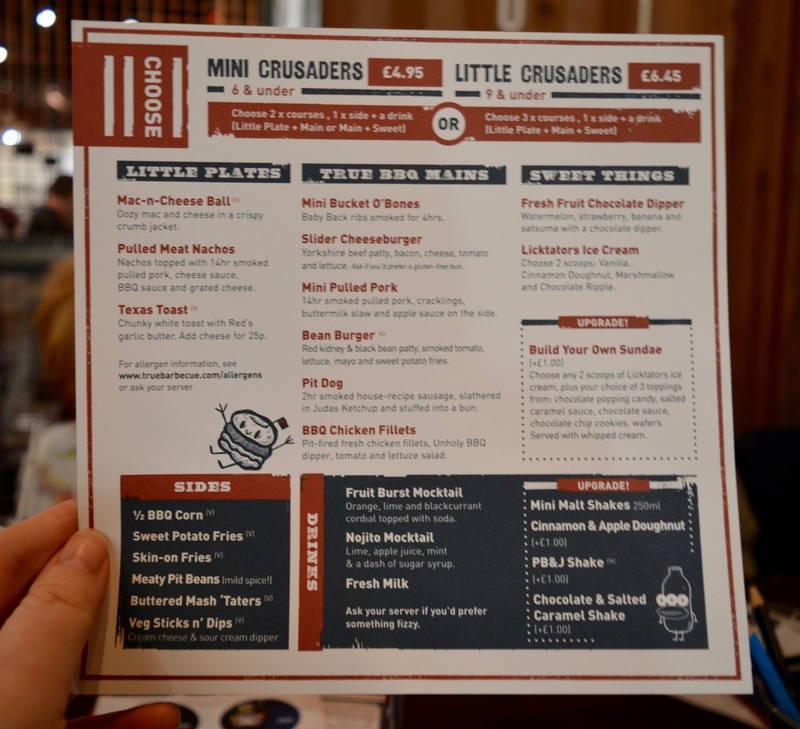 So when intu Eldon Square invited us along to sample one of their new restaurants in the new Grey's Quarter, it had to be Red's. 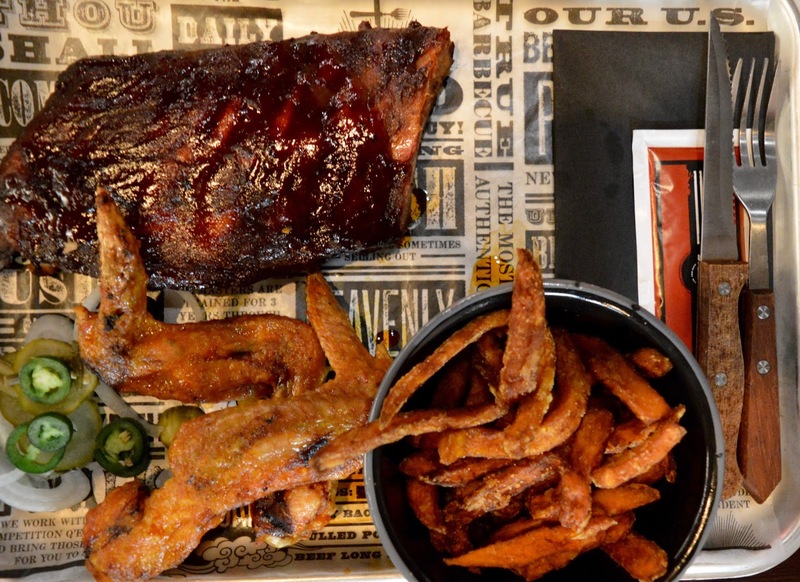 Offering what Steve described as 'all of the meat' - their menu offers a large range of slow cooked, smoked and BBQ'd meat and 'dirty sides'. Sounded right up my street. 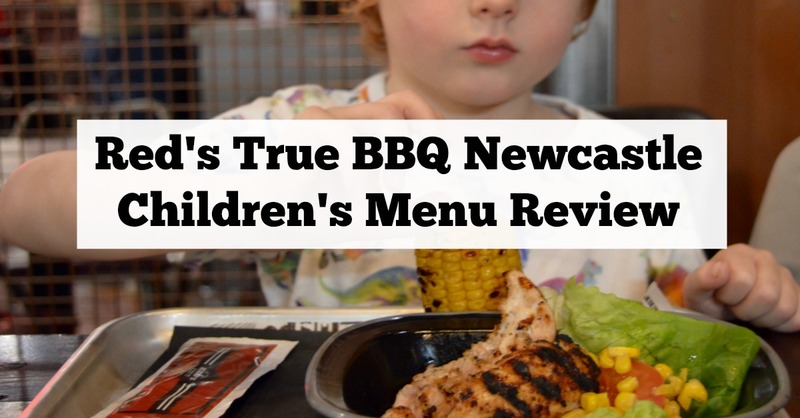 I did wonder how the kids would get on though as it's not the sort of place we would normally take them - they tend to stick to sausages and chicken breasts at BBQ's at home and I wasn't sure if Red's would be for them. Especially if they decided to be picky. You can see from only walking past the restaurant that kids are welcome though so in we went. 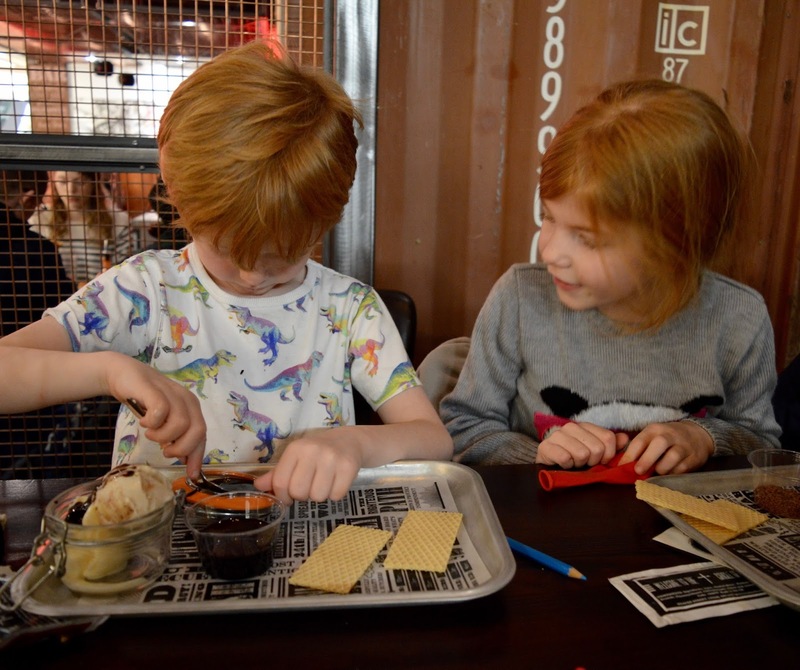 The children's menu is actually very good value - £4.95 for 2 courses, a side and a drink or £6.45 for 3 courses and a drink. Being able to dine out for under a fiver is always good to see, especially if you're trying to watch the pennies. 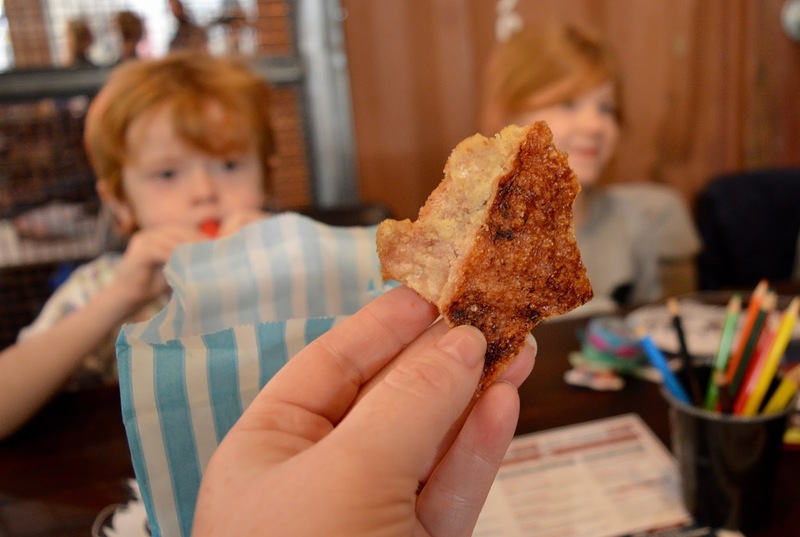 The kids were brought some crayons and activity packs and we ordered pork crackling as a nibble - I love how it is served in bags that we could pass around the table. The crackling was very good and I'd recommend ordering some yourself - it is homemade and covered in Red's unique spice blend which gives it a nice kick. 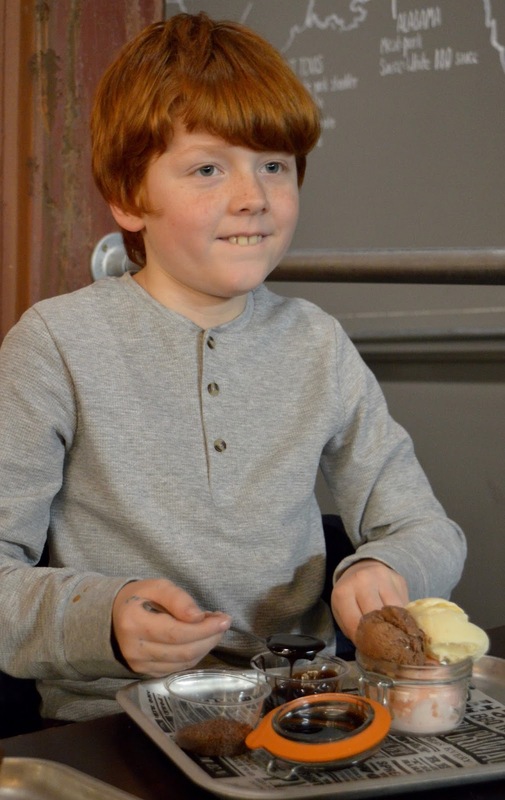 Harry tried some (and enjoyed it) but the younger two weren't so keen on the idea of eating pig skin. 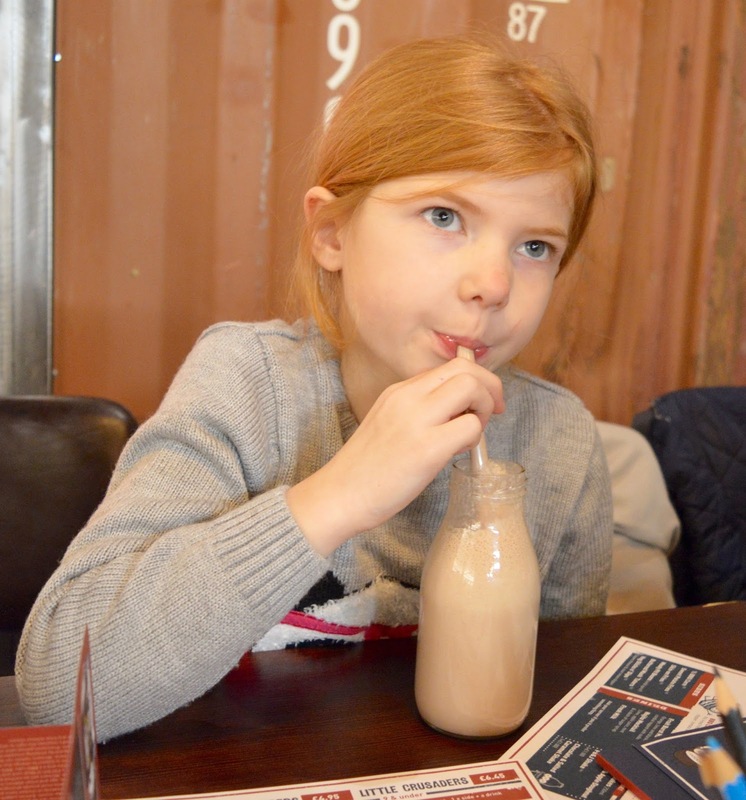 Heidi and I ordered a chocolate and salted caramel milkshake which are served in traditional milk bottles. We loved them and didn't find them too thick so they didn't feel like a meal in themselves. Red's do that thing I love where they ask if you'd like the children's food brought out as soon as it's ready - yes is always the answer. My children are always happy when they have a plate full of food in front of them. 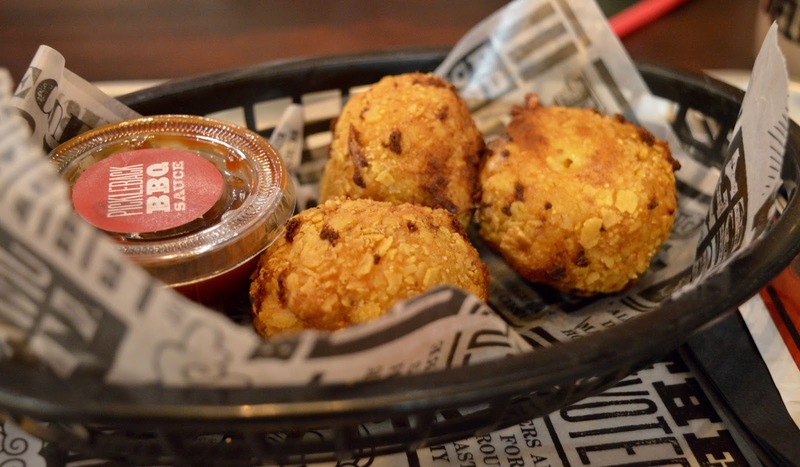 Jack and Heidi ordered the Mac n Cheese Ball with a crispy nacho crumb and when I spotted this dish on the main menu I couldn't resist joining them. The kids received one ball and the grown ups three. They were delicious and the kids loved tucking in - they've requested I make them at home one night so if anyone has a recipe, let me know. The cheese sauce was nice and gooey and everyone is provided with a Red's wipe as standard for the compulsory clean up afterwards. 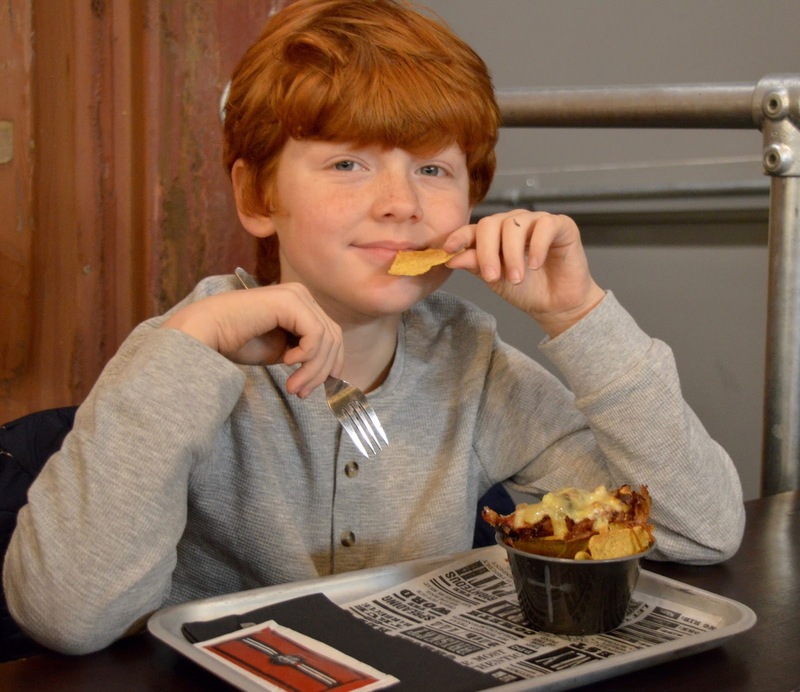 Harry went for the Nachos, covered in 14 hour smoked pulled pork with cheese. This is quite a grown up dish for a children's menu I think but he loved it and it's ideal for older children. Steve had real trouble deciding what to order - I think he wanted it all. Despite studying the menu at home beforehand, the menu outside the restaurant and the menu inside, he really struggled. In the end he went with Rib Tips - smoky rib ends with BBQ sauce. Very messy but I could tell he was in food heaven. 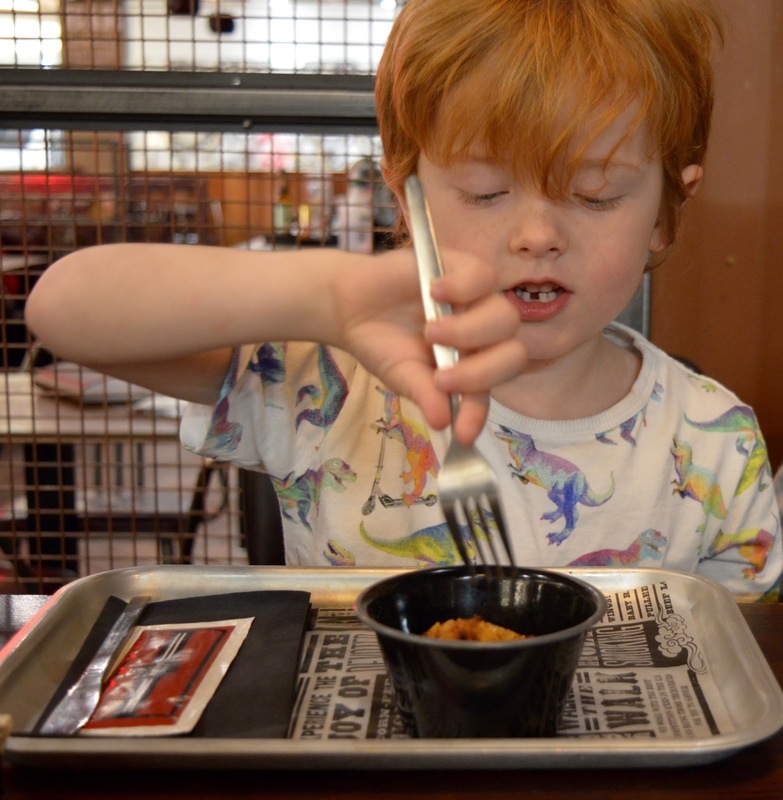 Jack asked for BBQ chicken - I am pleased this is grilled rather than chicken nuggets which he'd normally ask for. 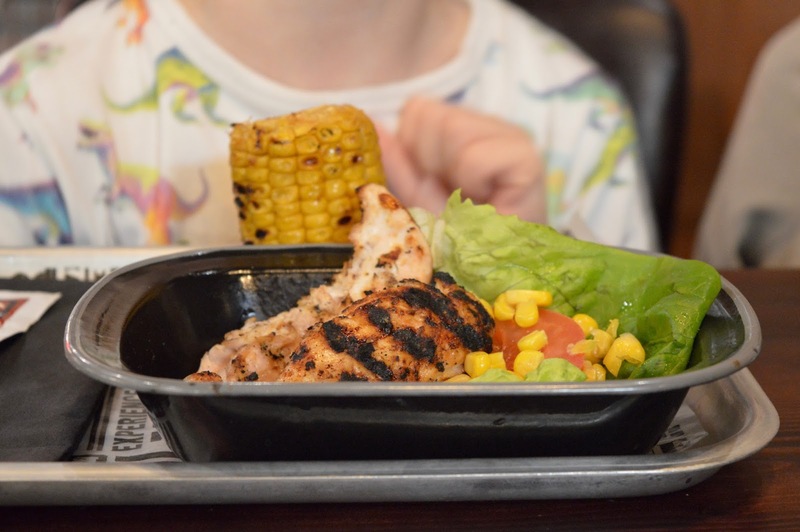 Served with salad and a side of choice (Jack went with BBQ'd corn on the cob), I'd say this is actually a very healthy dinner. He thoroughly enjoyed his chicken which looked succulent and juicy. He was first finished and I think I should have ordered him another side as he ended up stealing half of my (not so healthy) skin on fries too. 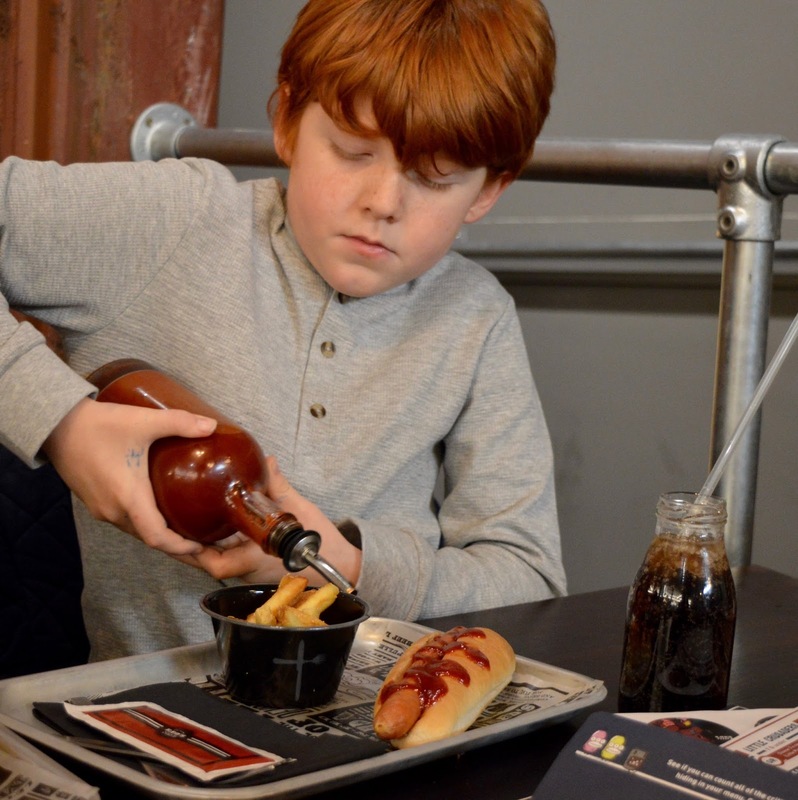 Harry and Heidi ordered the 'Pit Dog' which is a 2 hour smoked house-recipe sausage in a bun served with tomato ketchup and they opted for skin on fries as their side. Heidi asked for no ketchup which wasn't a problem. 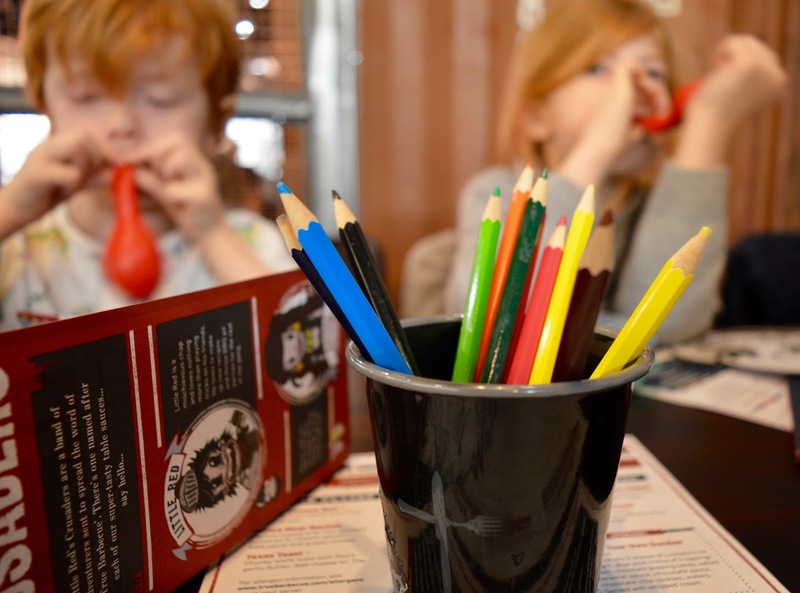 I love that the children's menu at Red's is simple but still includes the ethos of the restaurant and the kids still get to enjoy the full Red's experience too. The adult mains did not disappoint. Again we really struggled with what to order as we wanted to try it all! 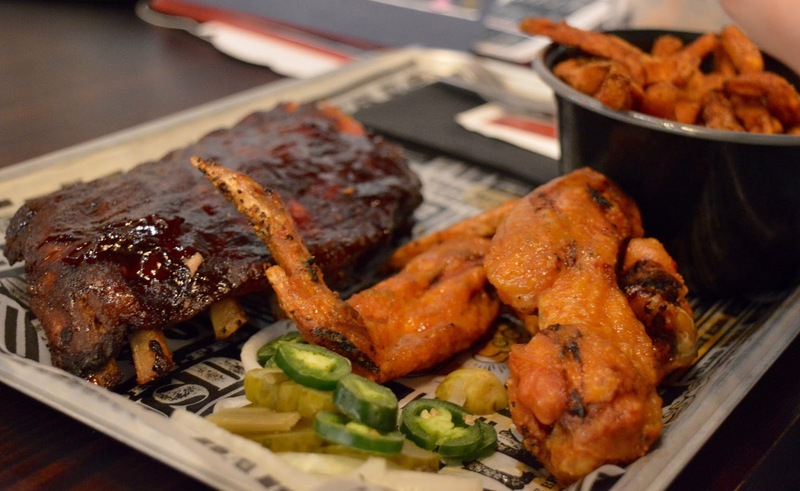 Steve settled with Baby Back Ribs and Buffalo Wings with Sweet Potato Fries. 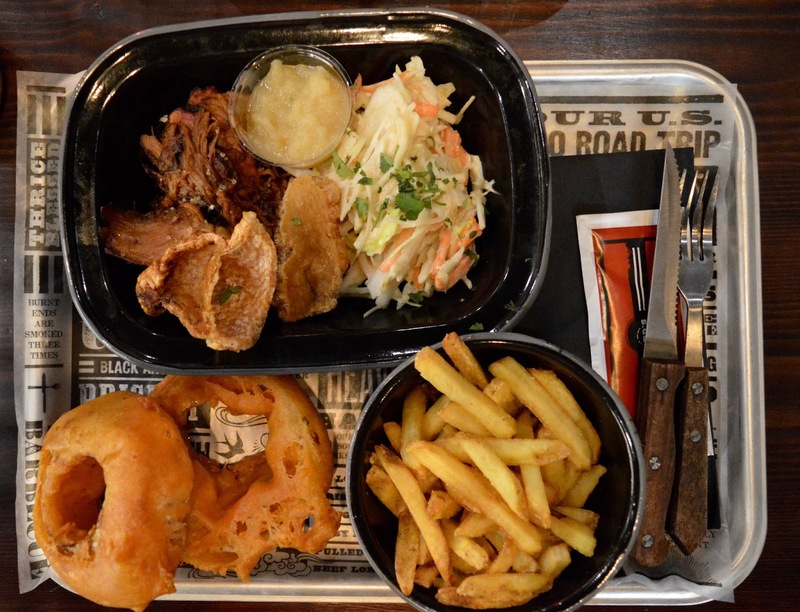 You can completely personalise your meal at Red's and add everything from burnt ends to extra ribs to your tray. If you want to go all out I would recommend visiting with 3 friends and going for 'The BBQ Feast'. At £18.95 per person this looks like it would be very good value for money as it includes a bit of everything. Just make sure you wear stretchy pants. Steve LOVED his plate - he's a huge fan of wings and ribs and this was pretty much the best he's had. Just the right combination of crispy skin, succulent meat and tangy sauce. I ordered the Red's Pulled Pork and Slaw with a side of skin on fries and onion rings - OMG how big are the onion rings! The pork looked dry when it arrived but it really wasn't at all. As soon as I picked up my first forkfull I was in food heaven. It had been slow cooked to perfection and was rich with a hint of BBQ. It seemed never-ending too and when we next visit Red's I'll probably order nibbles and skip starters. I couldn't finish my tray so it's a good job Jack was willing to help me with my fries. You can help yourself to a nice selection of sauces from the sauce station. 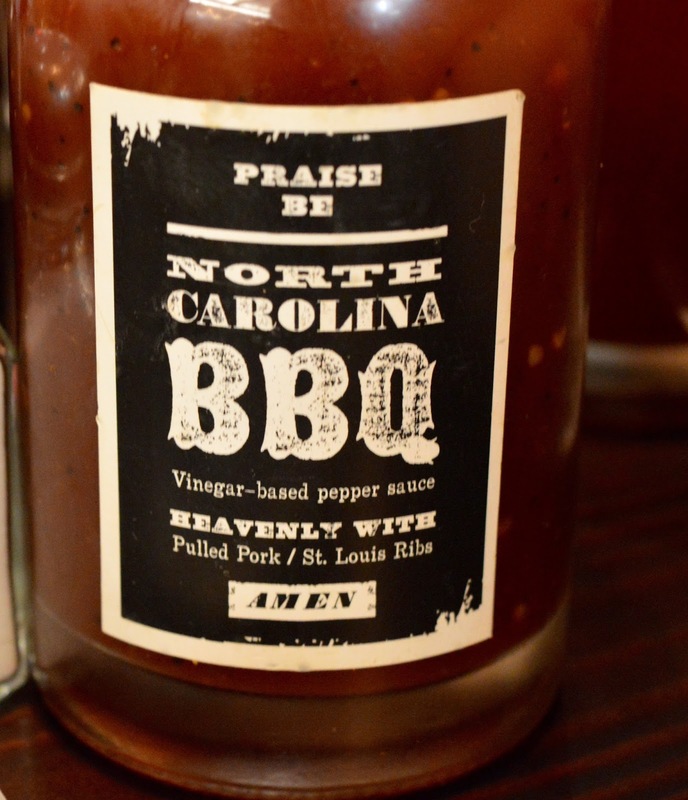 The North Carolina BBQ sauce was a favourite with our table - not one for dipping your fries in as it's quite thin but perfect for drizzling over your pulled pork - it added a nice extra bit of sweetness I thought. 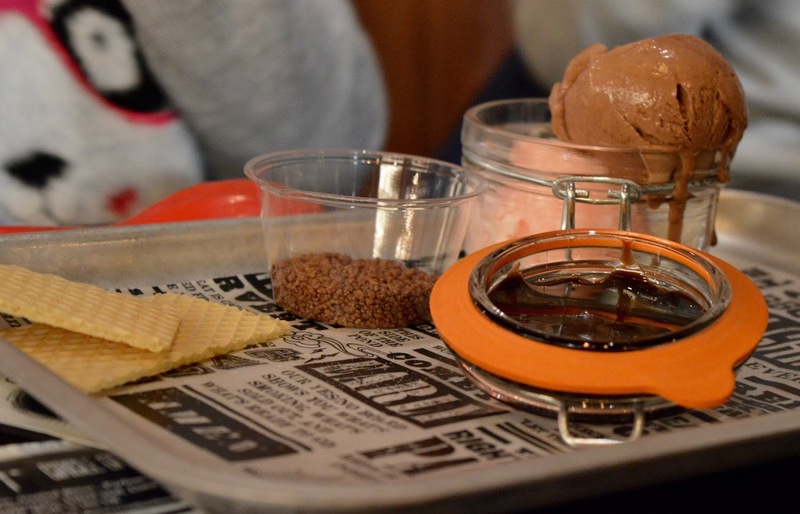 There is no way we could order dessert as tempting as they were. Apparently some people can manage a whole 3 courses - I have no idea how. 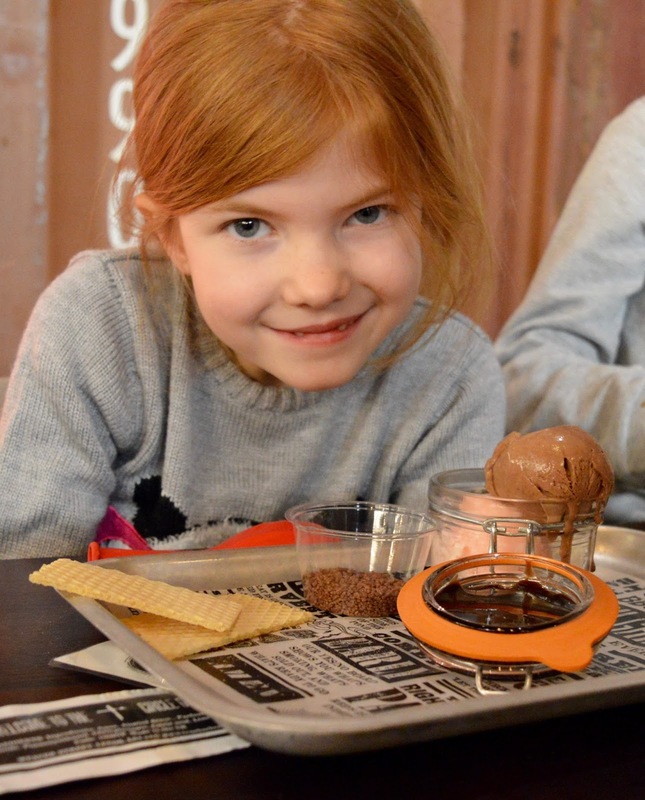 The kids were more than ready for round three though and all ordered a 'build your own sundae'. 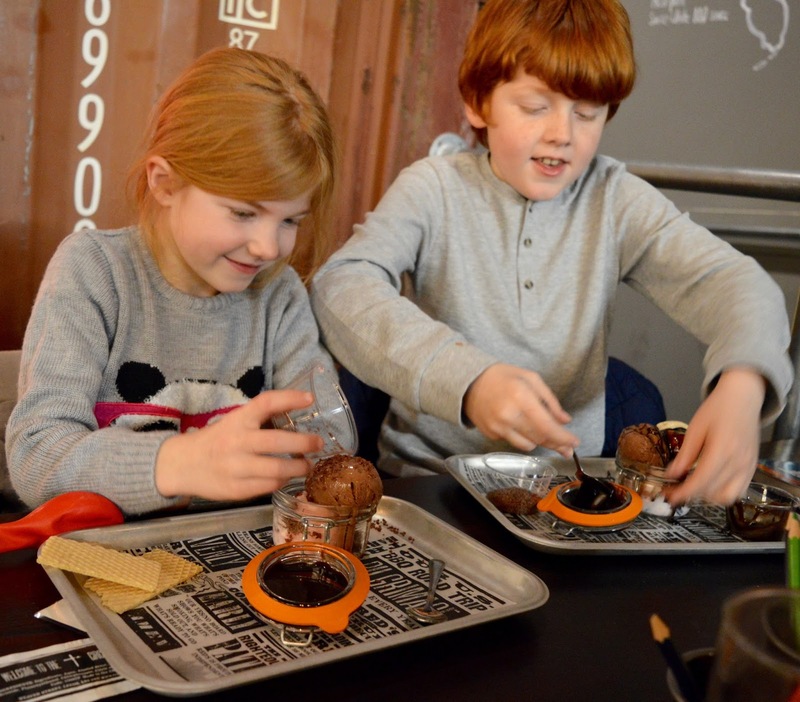 I love desserts like this as it let's them play with their food and get creative plus it means I don't have to do this sort of thing (and clear up) at home. It keeps them entertained for ages and Steve and I were able to end our meal with a nice drink and uninterrupted conversation which is not the easiest thing to achieve when dining out with three kids. We took the time to browse Red's cocktail menu and Steve has already made plans for us to re-visit without the kids. They have a bit of fun with the drinks here - Georgia Hobo Juice is served in a brown bag for example. I'm not sure if I'd be brave enough to try a 'Pickleback' mind which includes a whisky chased with housemade pickle juice - Steve is game for this sort of thing though and I imagine it's a laugh with a group of friends. 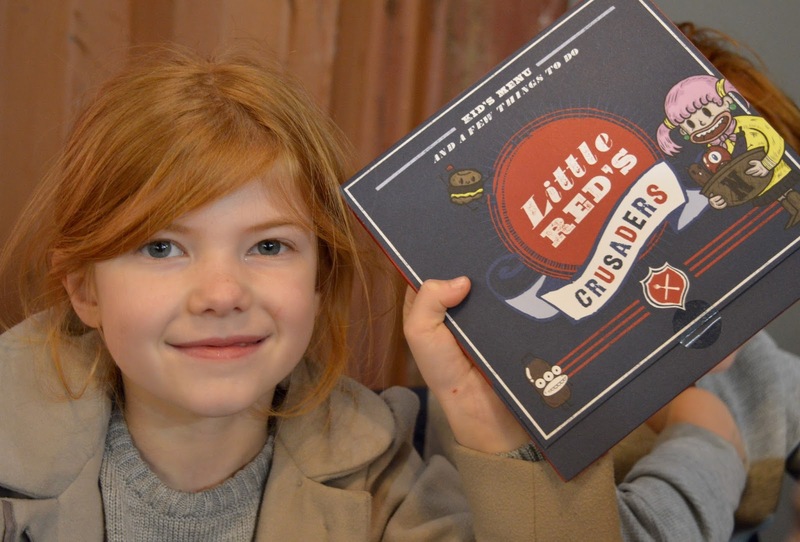 We were really impressed with Red's. 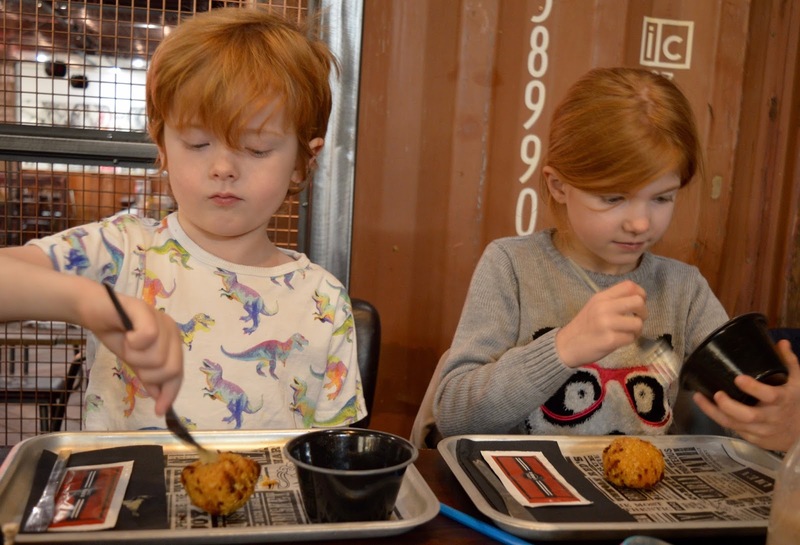 The food lived up to it's high expectations and a well thought-out children's menu meant that our children could enjoy an authentic Smokehouse experience too. Sometimes the service did feel a little slow when comapared to other places we've visited however when we checked our watch it had been around 90 minutes which is pretty normal when you're eating three courses. 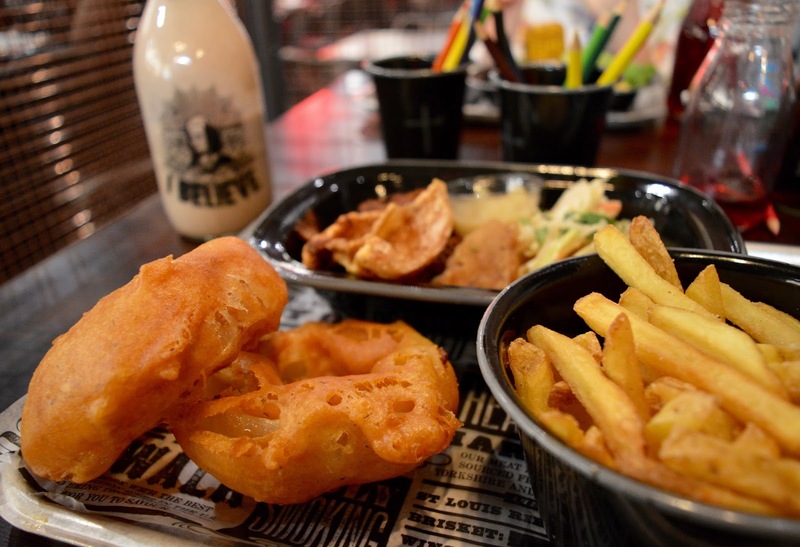 Red's have some fantastic deals and it's worth keeping an eye on their Facebook page for offers - their lunch menu is just £9.95 (Mon-Fri 12noon-4pm) for a main, skin on fries and bottomless drinks. 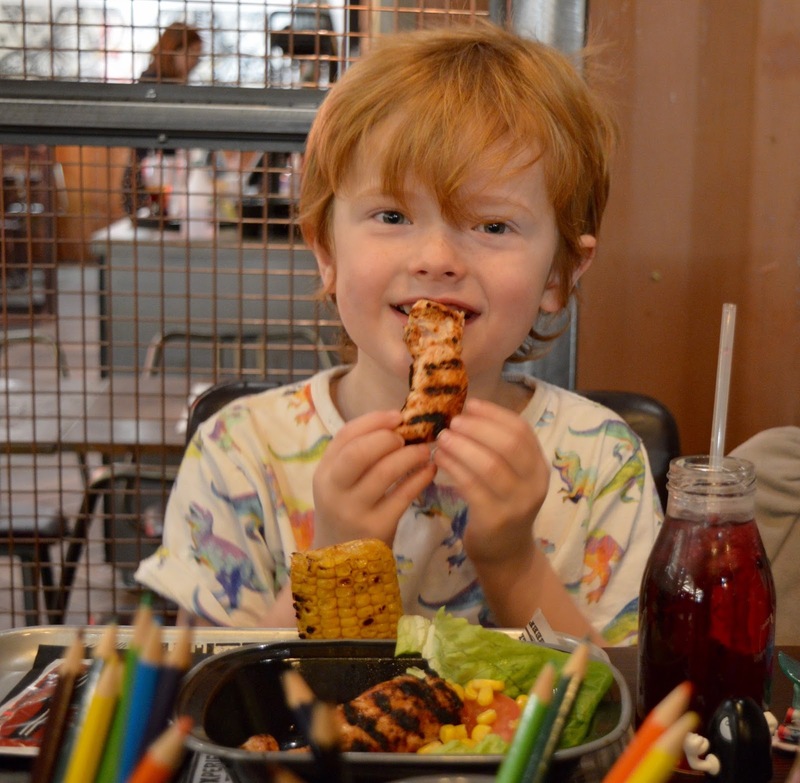 So for us, 2 adults and 3 children could eat out here for just £35 which is a real bargain. 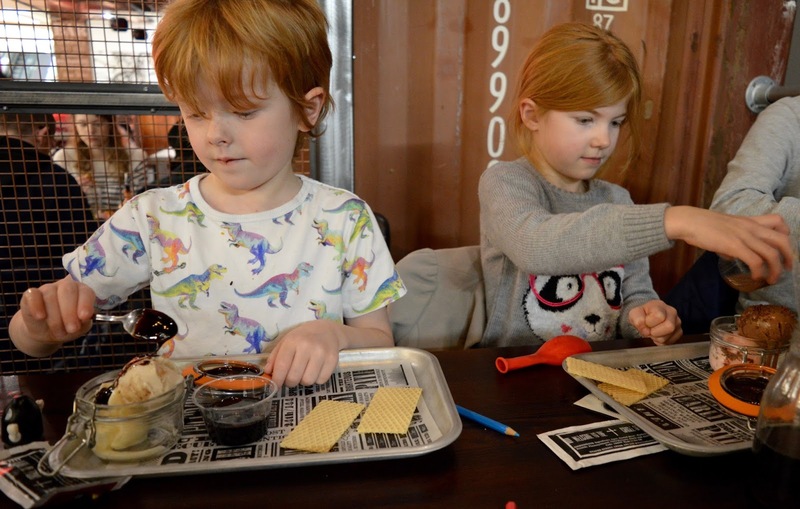 I expected Red's to be a lot more expensive than this - we'll definitely be back soon and I would certainly recommend you try it with your children too. 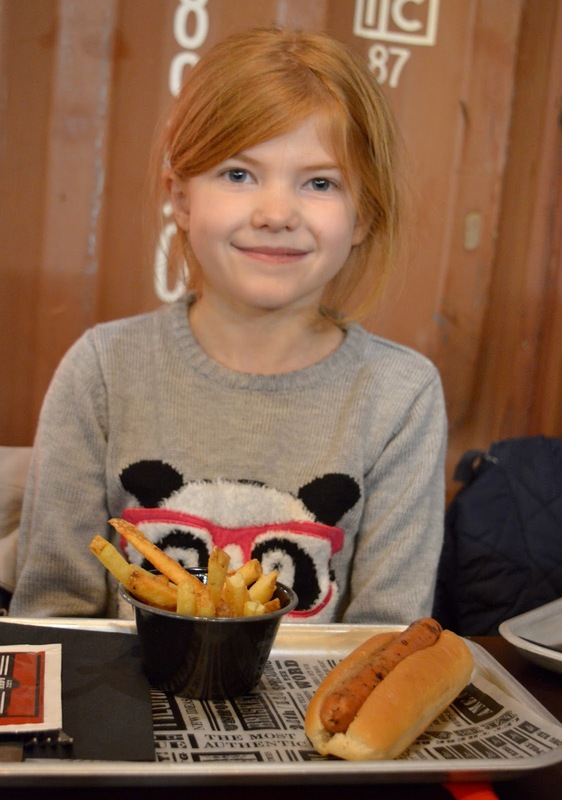 Disclosure: We received a complimentary meal in return for an honest review. I've heard nothing but good things about Reds, definitely need to give it a try. The food looks so good! 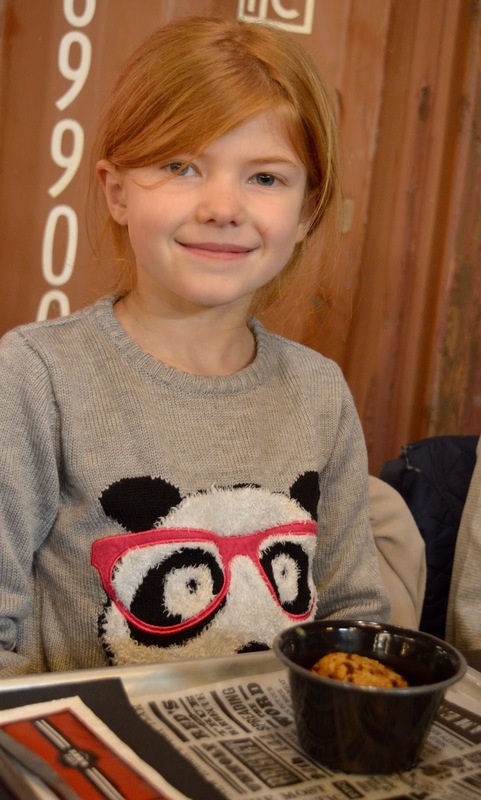 I visited and there were no kids around, so it's great to hear they accommodate so well. 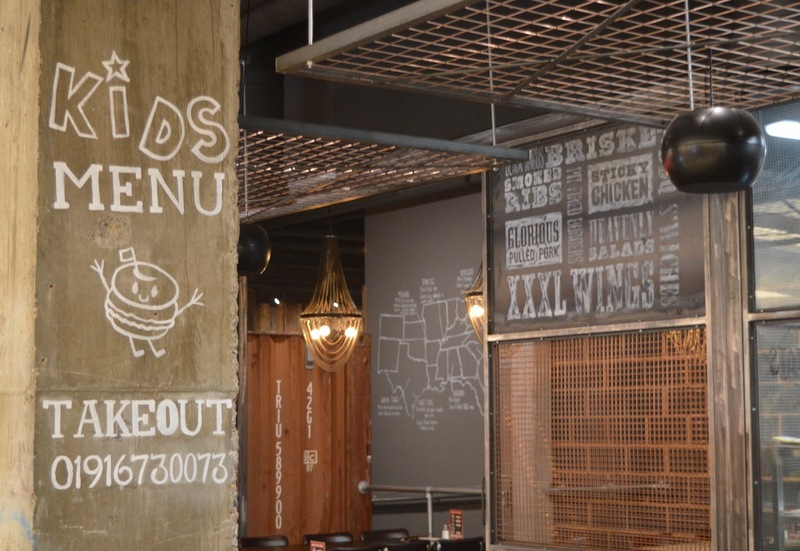 This place looks amazing for meat-lovers. 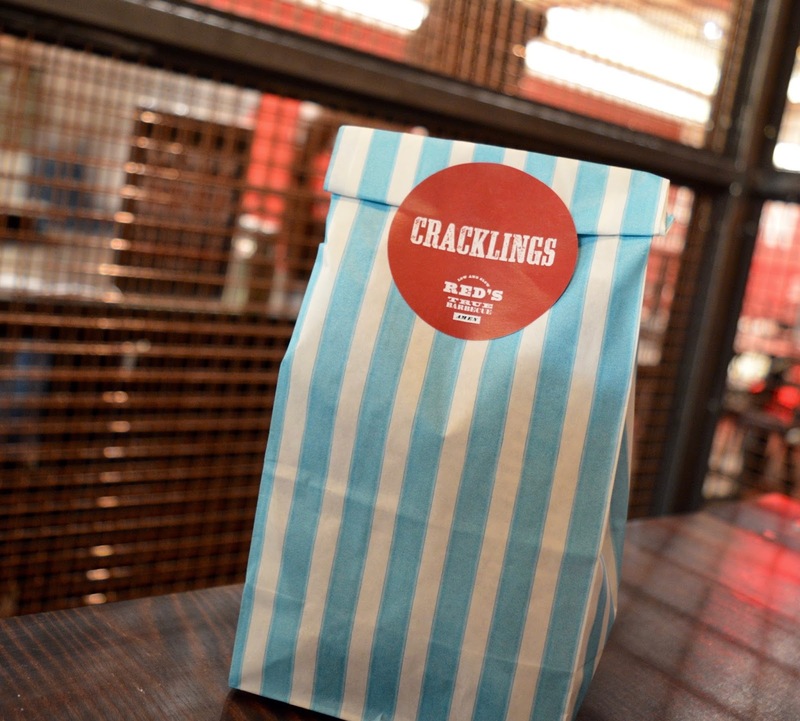 Love the funky milkshake bottles and ice-cream jars - and you can't go wrong with a good bag of crackling!